In almost every small business, people need and will collaborate. Whether it’s with your assistant, your sales team, or your production team, people need to collaborate with each other to get things done. For this, collaboration software, such as Atlassian’s Confluence tool, Google’s G Suite and Daylite come in handy. By using collaboration software, you will be able to easily create, share, and manage the projects you have with your team. In the following lines, we will highlight the main benefits of using such collaboration tools in your business. When using collaboration software, you always have access to the latest version of your project. Whether it’s a business presentation for your next pitch or a client project. This is a very important aspect of every modern tool. It needs to be able to offer support for every part of your business. For example, Google’s G suite offers a very wide palette of tools and software, such as Docs, Presentation, Cloud Storage, Calendar, Forms, and many more. And if you need to coordinate tasks for your team and keep track of documents, emails, etc as you move through projects. you can use Daylite to keep everything in one place. Tip: Learn how to manage all the moving pieces in a project using Daylite in this article. Companies such as Australian Writings recommend using one-stop-tools because they tend to cover all areas of your business. It eases communication between employees and improves efficiency. This might seem funny, but you can replace regular messaging tools, such as Facebook Messenger with Google Docs as you’re collaborating on projects. That’s because you can write your message, your peers will see the message in an instant, and they will be able to answer swiftly. In the meantime, if you were to use other messaging tools you’d have to keep switching between Google Docs and the messaging tool you use. This will get quite boring after a while. Tip: If you want to organize your your communication for a specific project, you can integrate Slack & Daylite to have conversations right inside Daylite linked to a project. This can be achieved by using Marketing&Chat from iOSXpert. 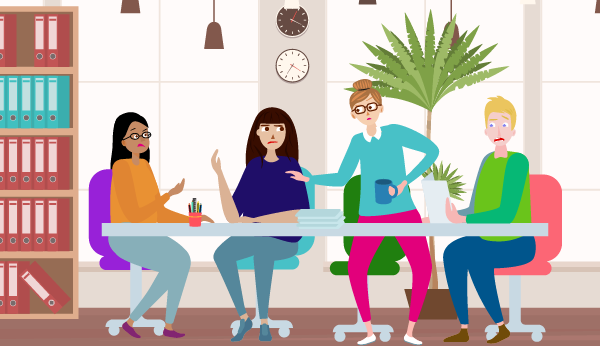 Instead of having to wait for a status update meeting or interrupt someone on your team, collaborative software can help you manage projects and track the progress. For example, Daylite allows you to track projects visually with Pipelines so you know exactly which stage the project is it. You can also see within each stage which tasks were already done, who they were done by, and what still needs to be done. This helps you make sure projects are moving along as expected so you meet your deadlines. Tip: To learn how to track projects with customizable pipelines in Daylite, read this tutorial How To Streamline Your Projects. Before collaboration software, people had to save the project on their laptop, then send it to collaborators via email or, even worse, sending it using USB sticks or CD. The later was the most unpleasant and time wasting method. If you’re using collaboration tool such a Daylite, you can even access your projects offline. The once you get a internet connection again, it syncs so everything is up to date. How many times have you wasted your own time or your employee’s time trying to figure out the status of a project or what the next steps are? How about wasted time looking for things or passing around documents? Collaboration software, such as the ones we’ve been talking about will add a dash of productivity to your company and team. Researches indicate an increase in productivity in excess of 20 percent. Now, take your revenues and add 10 percent to it, for the sake of your employee’s improved productivity. Would that be a good result? Basically, you are spending dimes to get dollars. Collaboration software tends to offer calendars and whenever a new task appears along the way, it will pop up in your calendar. Chances are, you will also get an email or some kind of notification to keep you posted. Tip: Learn how to track work you’ve delegated to your team using Daylite in this tutorial How To Delegate Tasks. You can easily onboard new colleagues because all your work is in a single place and it has the latest version of each project. The new colleague doesn’t need to ask different team members for information about bits and pieces of your team’s projects. He or she only has to check the tool you use and they will have there all the needed information. As simple as that! Once you start using collaboration software you will never want to go back to the chaos of email and passing around documents. Collaboration software has lots of benefits. Not only does it ease the communication between team members, but it also keeps track of each member’s progress and changes made to the project. Next time you consider improving the processes in your company, make sure you add collaboration software to your collection.